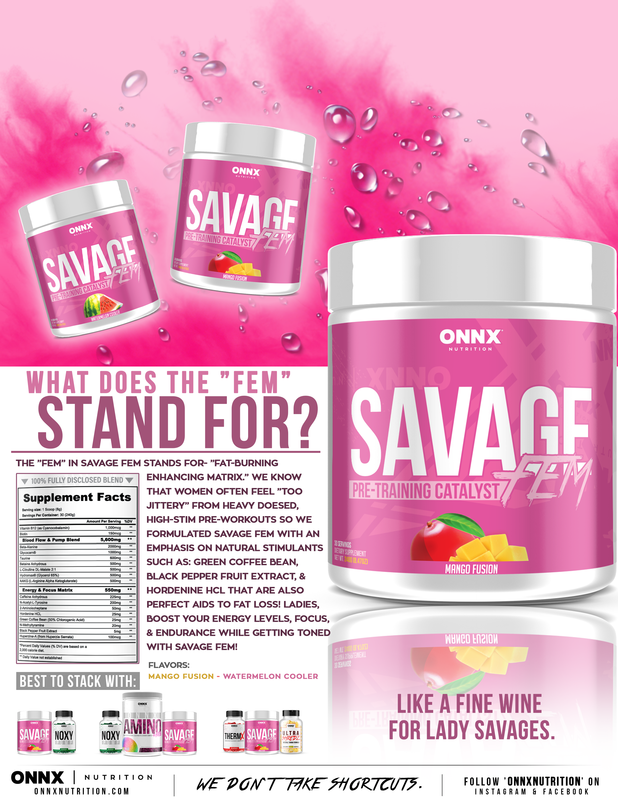 SAVAGE FEM is blended with key ingredients, specifically formulated for women. With an emphasis on higher dosing of NATURAL stimulants, SAVAGE FEM is the perfect pre-workout for females, boosting endurance, energy levels and aiding in fat loss and toning. I LOVE this product for both my cardio and weight training workouts! It's the perfect balance of energy and stamina without the cracked out and skin crawling feeling i've experienced with many pre-workouts. I highly recommend the savage FEM! !